Do you have a child or young person with ADHD, suspected ADHD or going through a diagnosis? Rutland County Council's Aiming High Team and ADHD Solutions CIC are working together to bring support into the Rutland area. For advice, help, support or to just meet up with other families who know what it is like to walk in your shoes, come and join us at Jules House. This is a drop in support group so don't feel you need to stay for the whole session! 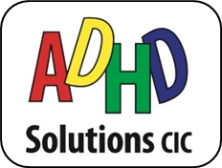 Please don't forget that there are ADHD Surgeries available as well, please contact ADHD Solutions for further details. This support service can be accessed by parents and carers of children and young people with diagnosis of ADHD and if ADHD is suspected or is not yet diagnosed. No car parking available. Nearest car park is Westgate LE15 6BH located near Wilkos. Get directions to LE15 6NT Is this information correct?